Start and end in Munich! With the oktoberfest tour Oktoberfest Munich 6Days, you have a 6 day tour package taking you through Munich, Germany. 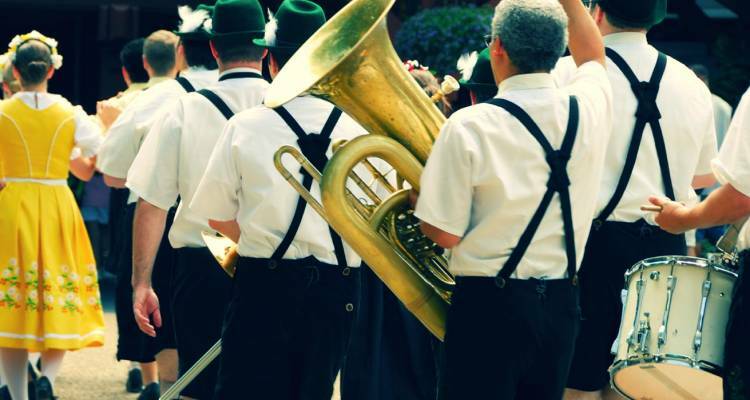 Oktoberfest Munich 6Days includes accommodation as well as an expert guide, meals, transport and more. Did the 5-Day Oktoberfest tour with Megs and it was wonderful! She's so upbeat and charismatic and knows how to get everyone involved, even if we all were drunk most of the trip! Thanks again, Megs; you made my first Contiki a memorable one! An amazing experience! With diverse individual with great attitudes. Made the trip that much enjoyable when assimilating to the group was so easy. Perfect way to enjoy Oktoberfest! Don't worry about travelling solo or trying to find your costume before you get to Germany, Contiki took care of everything. Great people/vibes/culture/party thanks for an awesome week. TourRadar only requires a deposit of $99 to confirm this Contiki booking. The remaining balance is then payable 50 days prior to the departure date. For any tour departing before 11 June 2019 the full payment of $415 is necessary. No additional cancellation fees! You can cancel the tour up to 50 days prior to the departure date and you will not need to pay the full amount of $415 for Oktoberfest Munich 6Days, but the deposit of $99 is non-refundable.